I realized I haven’t updated my blog for quite long. So I just came to update a little bit about myself. Here I would like to share the slides of my oral defense with you. Feel free to take part in the presentation and discuss with me! Several months has passed since my last post. I am busy with my thesis and have already submitted it. I am attending Cryptodatathon 2018 @ Zurich from June 3 to 9. More details about the event can be seen HERE. The task of our project is to calculate the sentiment related to crypto through the content collected from social networks. In a sense, the task is quite similar to what I have done on the stock market index prediction. Basically, we chose official accounts who post a lot about crypto then crawled the content to perform sentiment analysis. We created a crypto-sensitive dictionary which can be downloaded HERE. Slides about the whole project can be seen via request to wchen015(at)e.ntu.edu.sg. I have been in Japan for nearly one month. The research topic of my internship is quite different from what I have expected. The topic is An Initial Study of Survival Analysis using Deep Learning. Since I am going to do a final presentation to summarize my work here soon (together with an interview :-p). I would like to put my slides here to share my brief summary about survival analysis. 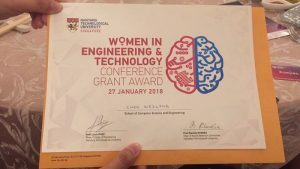 I have achieved Women in Engineering & Technology Conference Grant Award honored by NTU. Chen, Weiling, Chai Kiat Yeo, Chiew Tong Lau, and Bu Sung Lee. “Leveraging social media news to predict stock index movement using RNN-Boost.” submitted to Data & Knowledge Engineering. I will go to Kawasaki for my intenship from Jan 9 to Feb 9, 2018 at Toshiba. 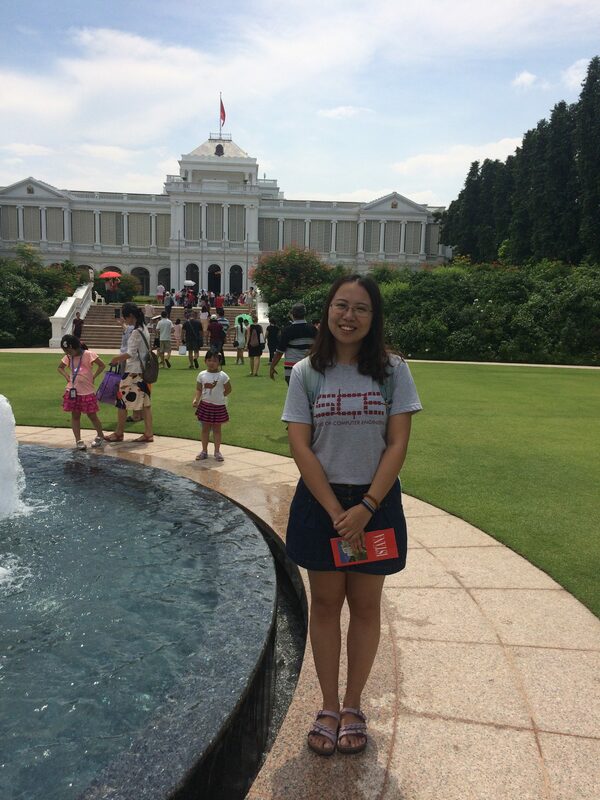 I will work at Microelectronics Center and the topic of the internship is AI and deep learning framework, big data analyzing system, and IoT sensing system. Abstract: Peer production sites such as wikipedia, citizen science and e-learning platforms depend critically on maintaining the engagement of their participants. The vast majority of users in such systems exhibit casual and non-committed participation patterns, making very few contributions before dropping out and never returning to the system. We present a methodology for extending engagement and productivity in such systems by combining machine learning with intervention strategies (whether automated or induced by a human overseer). We demonstrate the efficacy of this approach on two real world problems: How to support student group-learning in the classroom, and how to increase the contributions of thousands of volunteers in one of the largest citizen science platforms on the web. 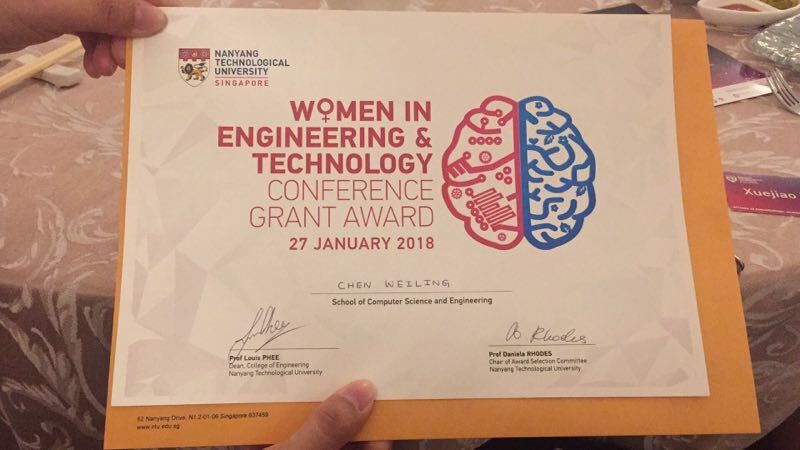 The topic is quite interesting and the technique related can be used in many websites and apps. The idea is to predict when the users will leave the system and give right encouragement at the right time. Another inseresting issue is whether it is ethical to manipulate people like that. I feel users still have a choice to leave or not in this case, we do not force them to stay. And a similar case is that some websites and apps will change their ui from time to time to advertise or promote their new functions or activities. Can we blame them for manipulating people? Personally I don’t think so. He also mentioned about the issue of badge encouraging system. When users obtain the badge (or other similar designations/titles), their contributions will drop dramatically. This is an interesting observation which I believe deserve further efforts for proposing a brand new encouraging system. Besides, it is really a good suggestion to communicate with experts in social psychological field when doing research related to human behaviors. 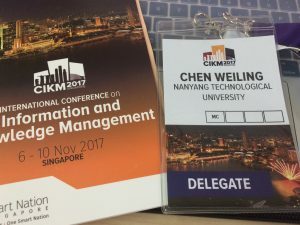 Let’s meet at CIKM 2017! I will be attending the CIKM 2017 main conference from Nov 7-9. Our demo paper: 1019 – Exploring the Veracity of Online Claims with BackDrop will be demonstrated on Nov 8 from 12:50pm to 3:45pm. Feel free to come to our booth to talk to my colleagues from AIST and me! The demo paper is now available HERE. I went to a wonderful workshop today! The topic of the workshop is Creating and designing your research website with blogs@NTU. I have been thinking about creating my own website recently but I am hesitating whether to buy my own domain. Then the chance came here that NTU blogs are now open to students. Therefore I applied and opened my own ntu blog. The following is a photo of mine @ Istana early this year. A blog about my work and life.